I got a note from Justin Hall, Editor of the excellent new queer comics compendium No Straight Lines, letting me know that the application deadline for Prism Comics’ Queer Press Grant is coming up fast–October 1st! With the recent cessation of Peter Laird’s excellent Xeric grant, the Queer Press Grant has become the last indy publishing grant, and one that I feel is entirely necessary and has supported some excellent projects. If you’re eligible for the grant (see the complete PR below) apply now at http://prismcomics.org/grant. Indy publishing is pretty easy to marginalize to start with, and in my experience queer voices trying to compete in the larger marketplace tend to have an especially tough go of it. Authors talking about gay/lesbian/bi/trans/queer experiences tend to only find audiences within those communities, with a few notable exceptions (I’m thrilled for Alison Bechdel’s success as a queer graphic novelist and memoirist, but it’s not like she has a lot of contemporaries). Again, my experience has been that even well-meaning readers tend to assume a queer experience isn’t a universal one until proven otherwise… and nothing could be further from truth. This grant has helped to fund some great projects, and bring some important voices to the fore. If you’ve got it in you to support great queer creators and projects and help grow the QPG, Prism Comics accepts donations year-round at http://prismcomics.org/donate.php. Prism Comics’ Queer Press Grant 2012: Application Deadline is Oct. 1st! 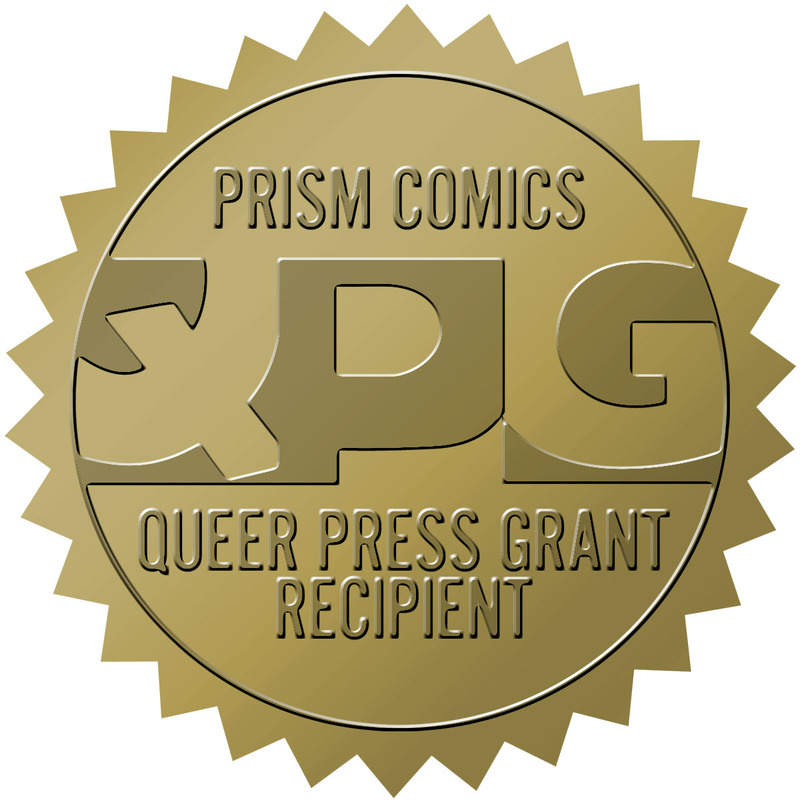 There’s only one month left to apply for this year’s Prism Comics Queer Press Grant (QPG)! 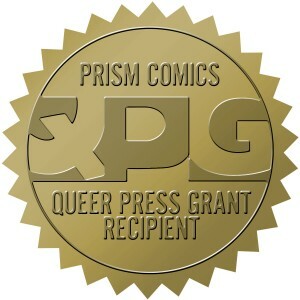 The QPG, the only grant today specifically awarded to independent comic book creators, was established by Prism to assist in the publication and promotion of LGBT (lesbian, gay, bisexual and transgender) comics. The submission deadline for the QPG is October 1st, 2012, with the recipient announced during San Francisco’s Alternative Press Expo (APE) taking place from October 13-14th. Applicants can submit online now at prismcomics.org/grant. The Queer Press Grant is awarded to a comics writer/artist or team working on a project with significant LGBT characters and themes, to assist them in publishing a new project or expanding an existing one. Comic books, comic strips, webcomics, and graphic novel projects are all eligible. Entries are judged first and foremost by artistic merit, followed by concerns such as financial need, proposal presentation, and the project’s contribution to the LGBT community. Creators do not need to be LGBT themselves to apply for the QPG. Submissions are reviewed by the Prism Board and past recipients of the Grant, with the larger advisory board brought in when tiebreakers are needed. Grant guidelines can be found at prismcomics.org/grant. Questions about the grant can be directed to Justin Hall at justin@prismcomics.org. The Queer Press Grant is funded entirely by donations, generally from comic book professionals and readers plus fundraising efforts from Prism members. To donate to the Queer Press Grant, go to prismcomics.org/donate. From these contributions, the standard amount of the Grant in the past few years has been $2,000. Since its inception, the Queer Press Grant has been awarded to Robert Kirby (2011, for Three), Tana Ford (2010, for Duck), Jon Macy (2010, for Fearful Hunter). Ed Luce (2009, for Wuvable Oaf), Eric Orner (2009 for Storybox), Pam Harrison (2008, for House of the Muses), Justin Hall (2007, for Glamazonia), Tommy Roddy (2007, for Pride High), Megan Gedris (2006, forYU+ME), and Steve MacIsaac (2005, for Shiftlifter). Thanks for speaking truth to power and spreading the word, Christopher! The QPG is an awesome thing.